Tom married Pattie Lambert on August 28, 1971 and together they had two children, TJ and Kacey. He was a great dad. He always made the most of the time with his children, whether it was camping in Wise River, taking trips to Seattle, or just enjoying a good family dinner. There was nothing he liked more than spending time with his kids. He was known to many as Tom, Tommy, the mayor, or Dudley, but his most important title came in 1998 when he became known as Grandpa Tom. This role came easy to Tom as he was a natural grandfather. He never missed any sporting events in which they participated. His love of cheering on kids didn't stop with his grandsons. He could always be found at a Butte High sporting event, 50-50 ticket in hand. 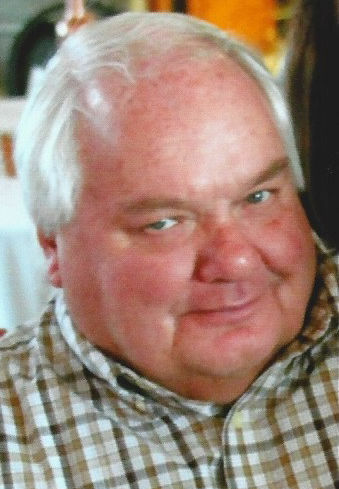 Tom enjoyed many things in his life such as old Chevy cars, fishing with his buddies, and anything that had to do with Walkerville, but his true joy in life was helping family and friends. If a helping hand was needed, he was like a superhero in Carhart bibs and white tennis shoes. He was preceded in death by his parents, Emerson and Helen Davies; mother-in-law and father-in-law, Eva and Harry Lambert; and sister-in-law, Judy McKiernan. Tom is survived by his children TJ Davies and Kacey (Brandon) Queer; grandchildren, Kadon, Wil, and Kuley Queer; siblings, Peggy (Jim) Ryan, Debbie (Rick) Hamry, Bob (Alice) Davies; nieces, Trena (Andrew) Bernard, Melissa (Joe) Kump, and Katy McKiernan; nephews, Ric (Kim) Minudri, Rick (Dena) Hamry, Mike (Jill) Hamry, Jeff Ryan, Mike Petruzelli, and Bobby Davies; and numerous cousins and friends. Memorial services will be conducted Wednesday, January 3rd, 2018 at 12:30 PM at the Historic St. Lawrence Church in Walkerville, Montana. In lieu of flowers, donations can be made to the Spirit of Columbia Gardens/Carousel, PO Box 782, Butte, MT 59703. Axelson Alternative Cremation is privileged to serve Tom’s Family. Here are obituaries published in the Montana Standard Dec. 25-31. My condolences to TJ and Kacey, you Dad was always a wonderful person to everyone who met him. RIP Tom, sympathy to the family.